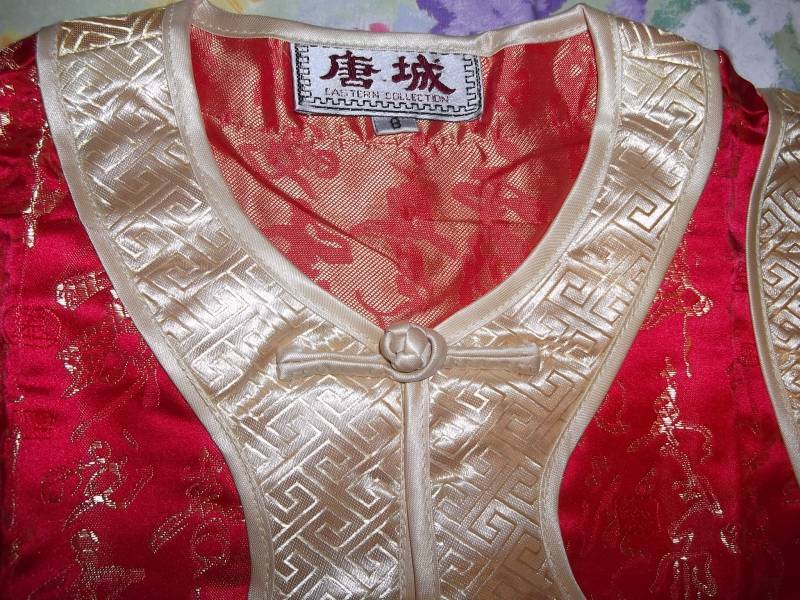 Brand New Chinese Costume - Bargain! 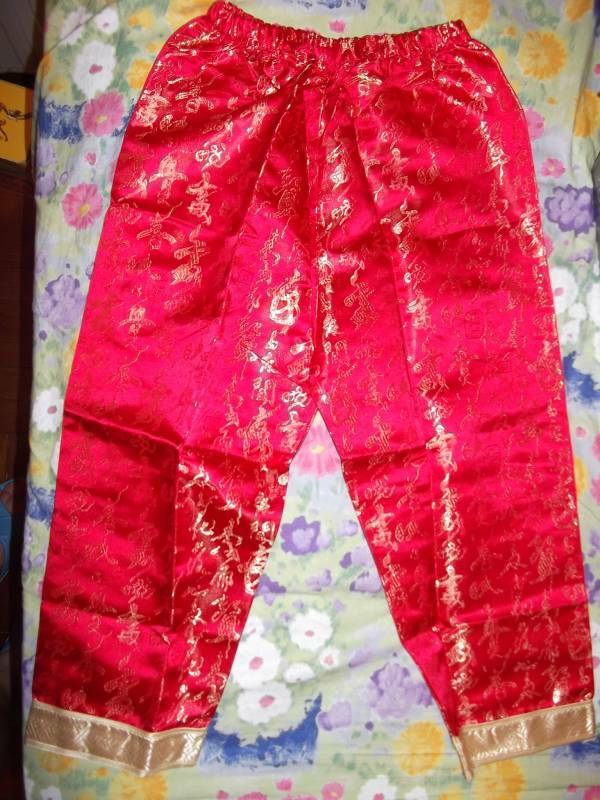 Selling a set of Chinese costume for boys. Great for photo-shooting or Chinese New Year. Selling because kid already found them too small. Brand new and never used. Intended to be worn on top of a long-sleeve jumper or T-shirt. 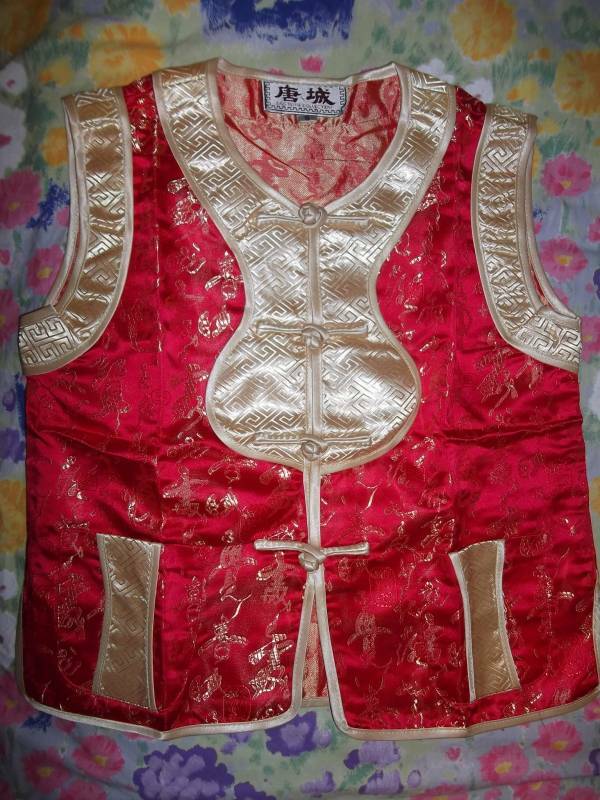 Made of quality Chinese embroidered fabric in gold and bright red with traditional Chinese buttons. Pants: 61.5 cm (length); fits waist of up to 32 cm (x 2)(elastic band). Upper Garment: 35 cm (chest width); 41 cm (length). Size 8 which fits normal size boy of about 5 to 6 years. Asking only $40 for the set and pick up from Quarry Bay MTR ONLY.